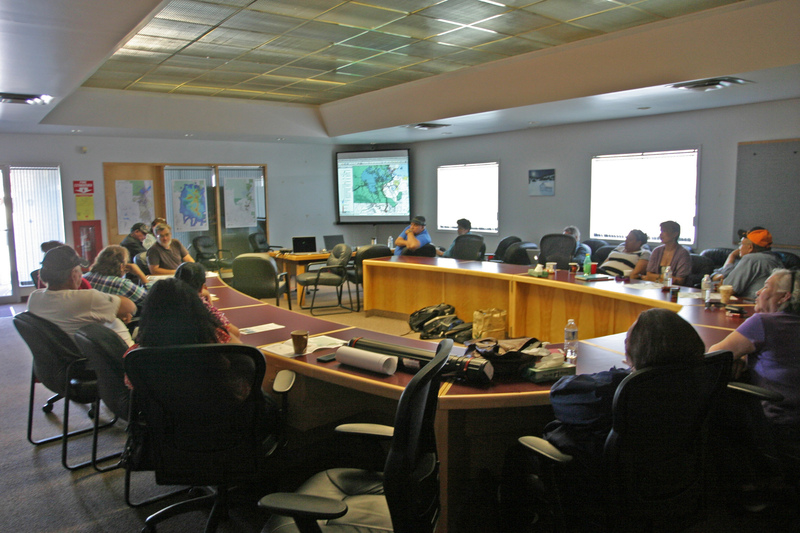 DPI Territorial has begun workshops with the Mikisew Cree First Nation to produce a Land Use Plan for its traditional territory. 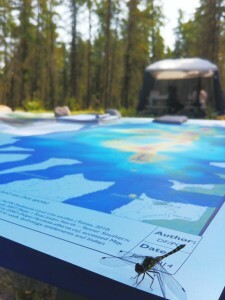 Focused on conservation, the plan will identify priority areas for protection based on hundreds of completed traditional land use surveys, as well as habitat and watershed information. 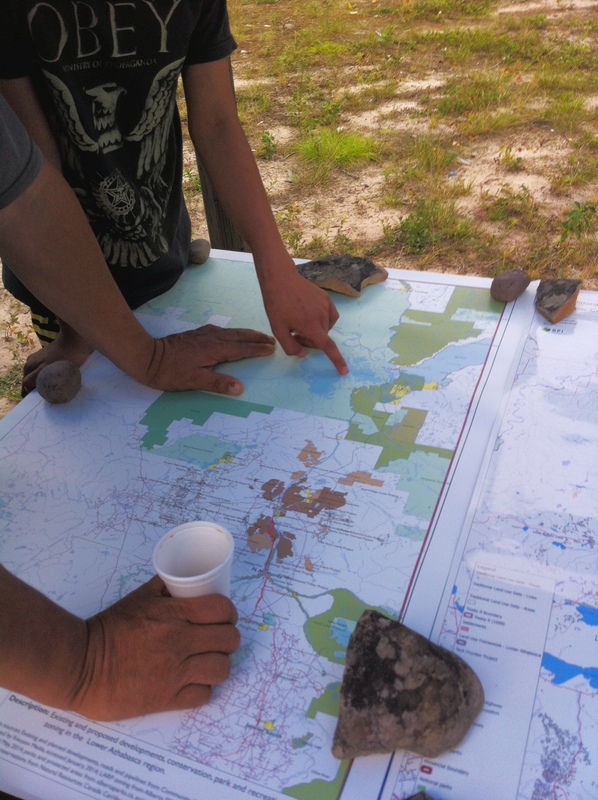 These conservation opportunities will be overlaid with industrial development across the region to find potential conflicts from the perspective of band members. A community working group has been formed for this purpose, and a land use suitability analysis which will be co-developed with members of the First Nation. 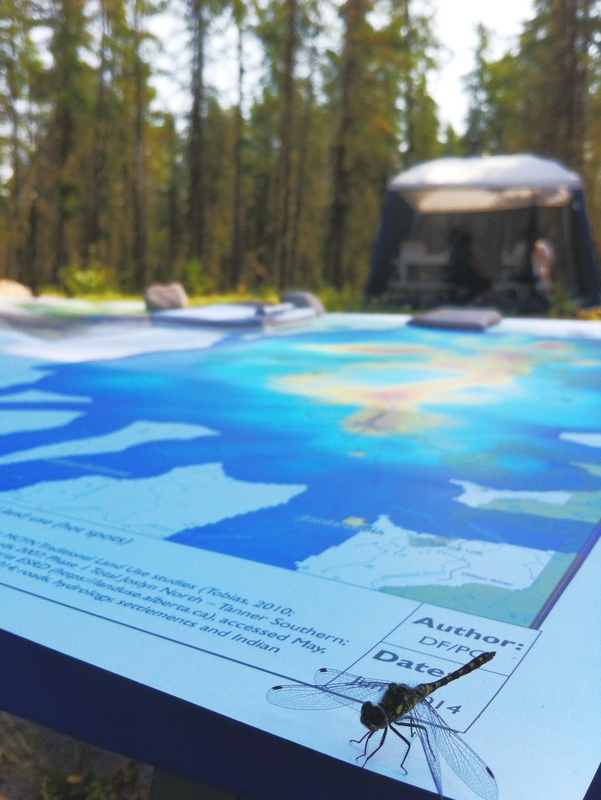 It is an opportune moment to propose an alternative that considers and builds on the conservation zoning proposed by the province by better integrating the vast library of traditional land use mapping that is available for the First Nation. Through a series of workshops and open houses, Indigenous Knowledge holders from different parts of the region are participating in the planning process. Their knowledge is being integrated with scientific and GIS information such as bison monitoring data, vegetation cover, development lease areas, intact and undisturbed forest landscapes, and existing and proposed development footprints. Together, we are conducting a conflicts analysis with these map layers to identify high-priority conservation zones. The work will continue into the summer of 2015.